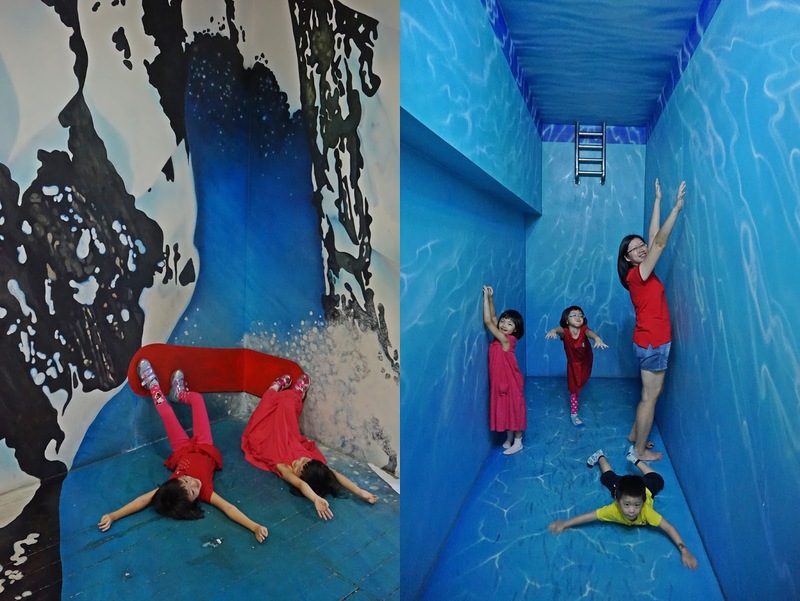 3D Trick Art Musuem is all about trick art illusions. 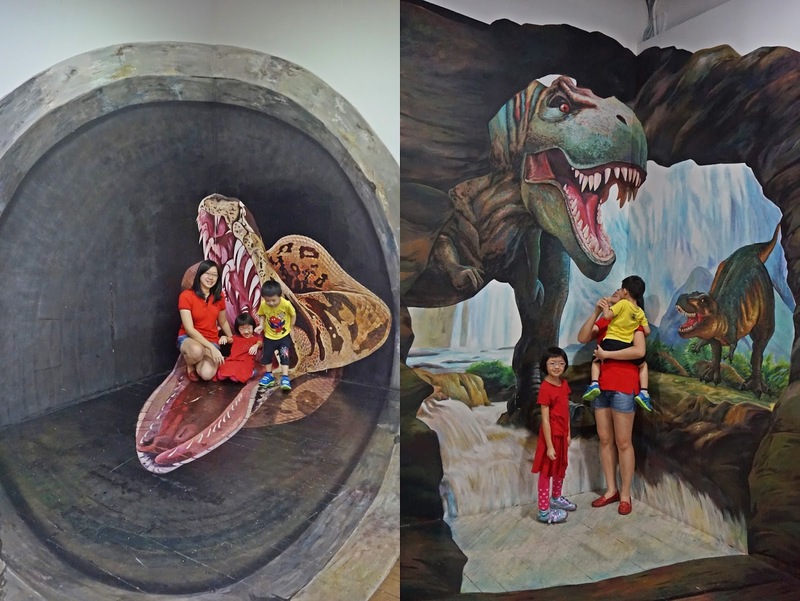 3D Trick Art refers to a technique that transforms 2-dimensional painting into 3-dimensional images. 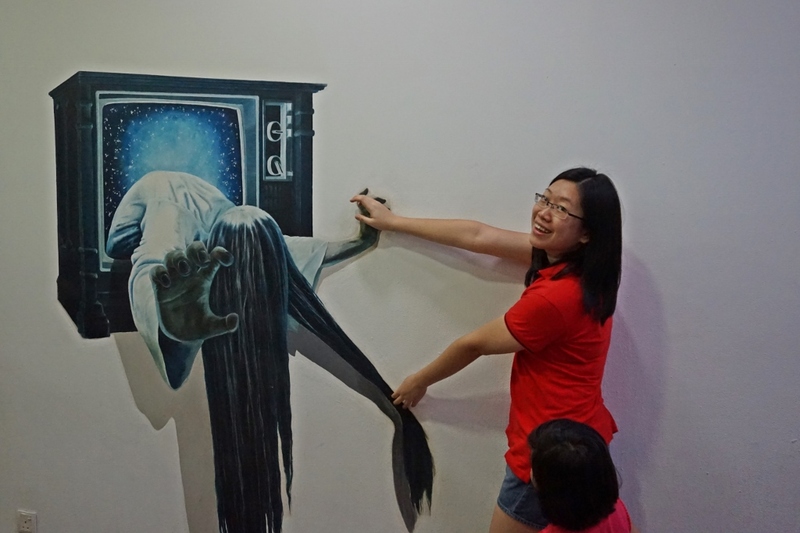 With the 2D paintings on the walls, floors and ceiling appears to pop up on the surface and come to life. 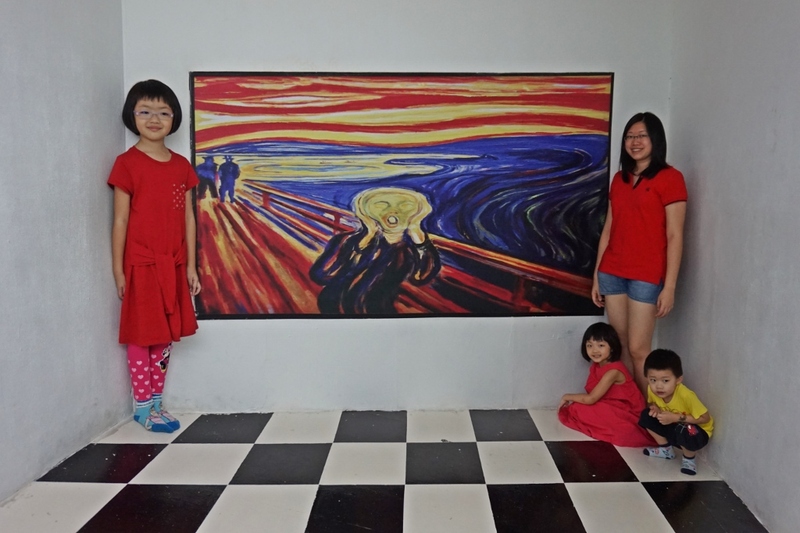 The museum will be housing 40 pieces of artworks including optical illusion paintings and sculptures. 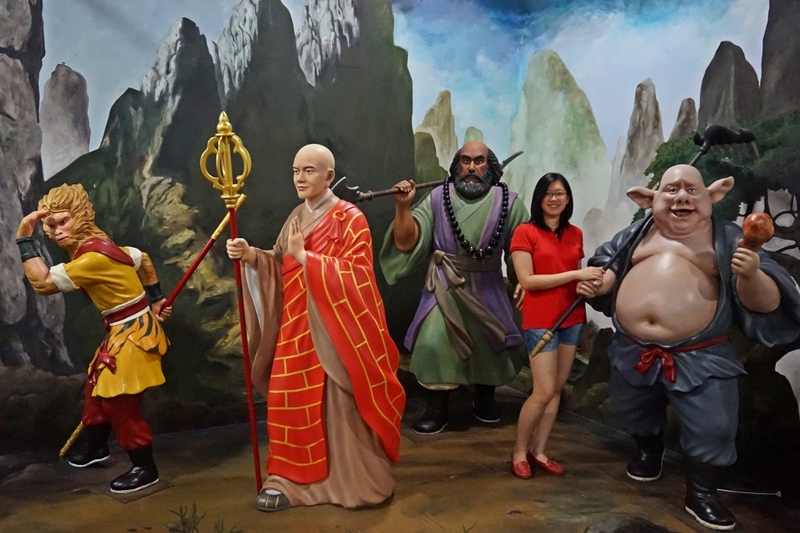 These paintings are so unique and all arts are originated locally. 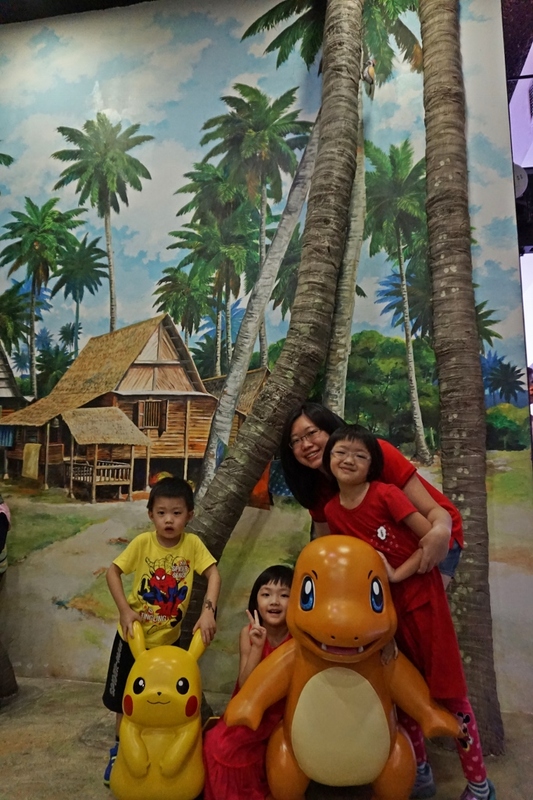 Here is All about Penang Life and Modern Classic. 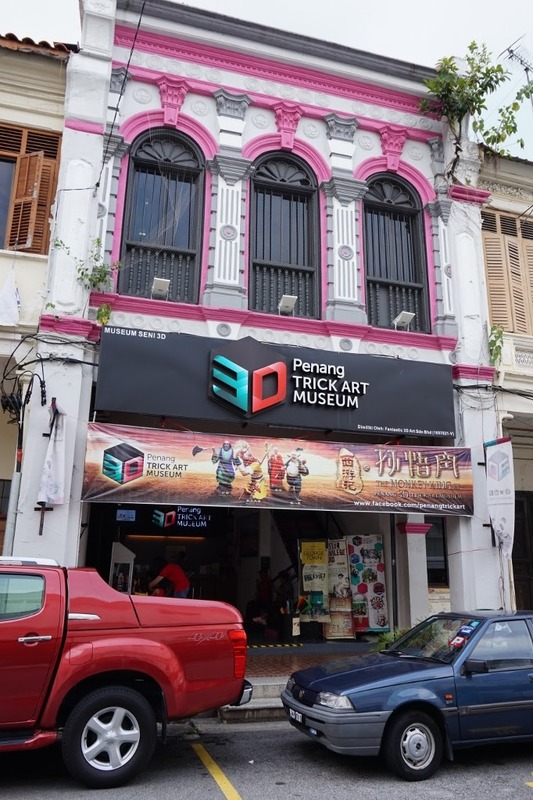 This theme will definitely portray the daily life of Penangites and bring the stories that are present in the heritage to a broader group of visitors. 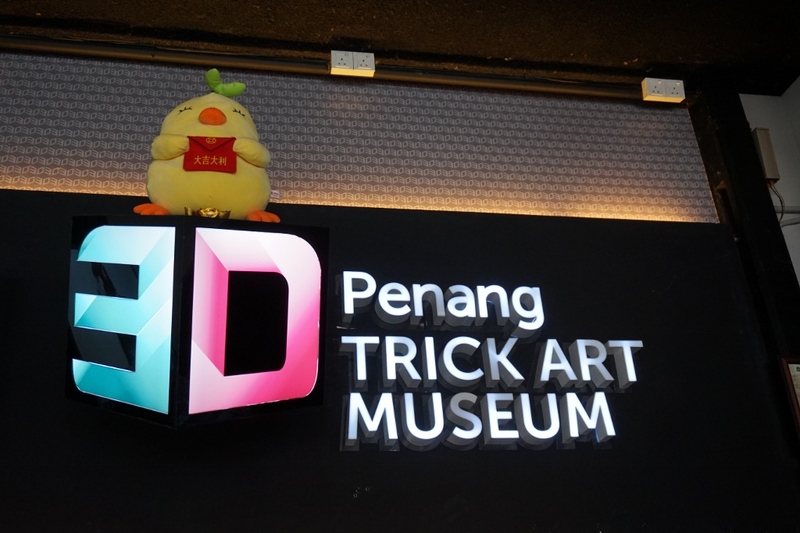 We are here to experience the 3D Trick Art Museum and let's explore each of them and how they are so different from other museum. 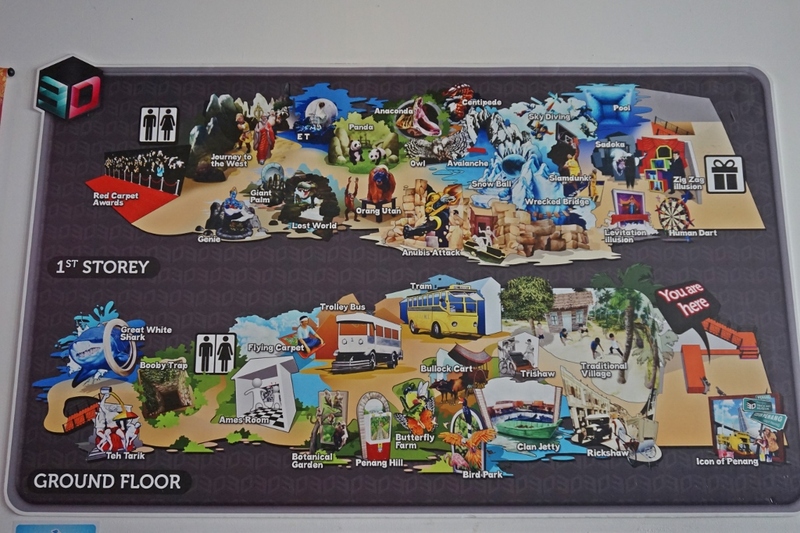 Guidance and assistance will be provided by instructions beside the artworks or personnel in the museum to ensure visitors take the best possible photos. 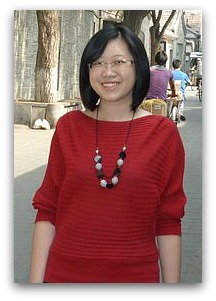 The friendly staff will also help us to take pictures with our own camera. 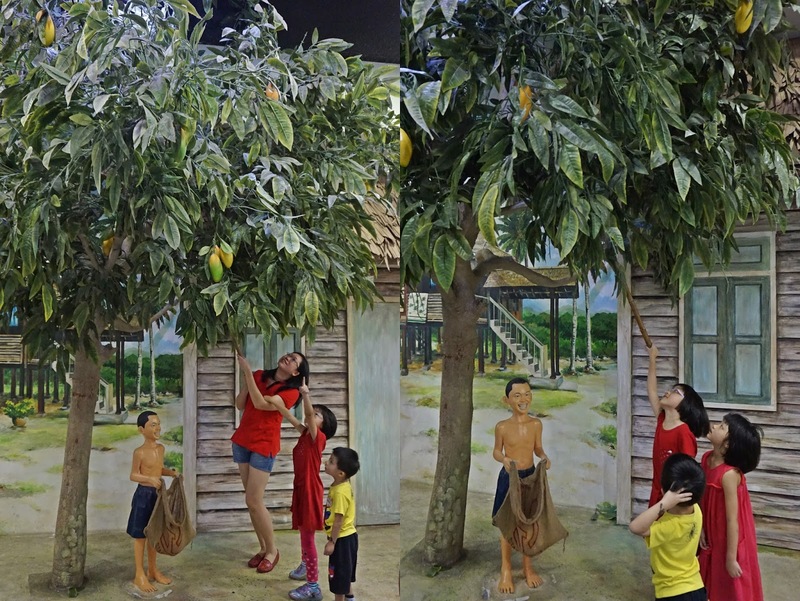 Look Mummy, I found the mango! We love this pictures! 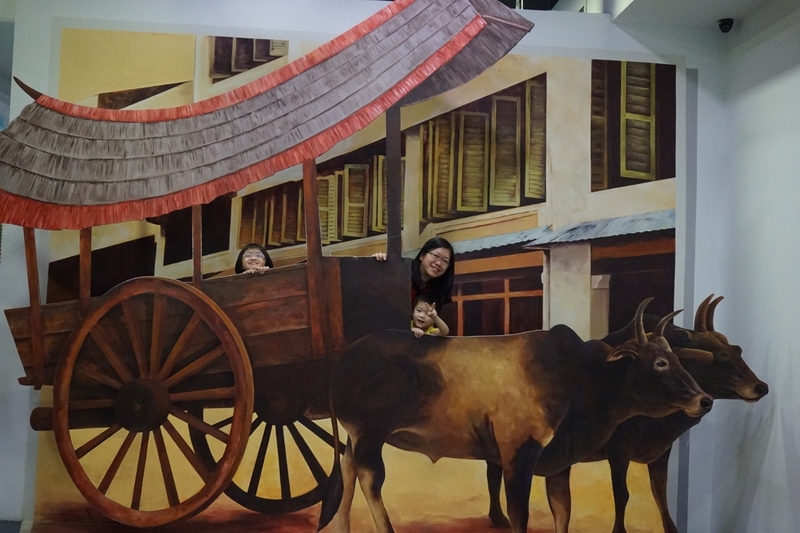 Sitting inside the sampan! The Clan Jetties are the homes of the descendants of harbour labourers and fishermen. Today these jetties are preserved as a heritage site of George Town. 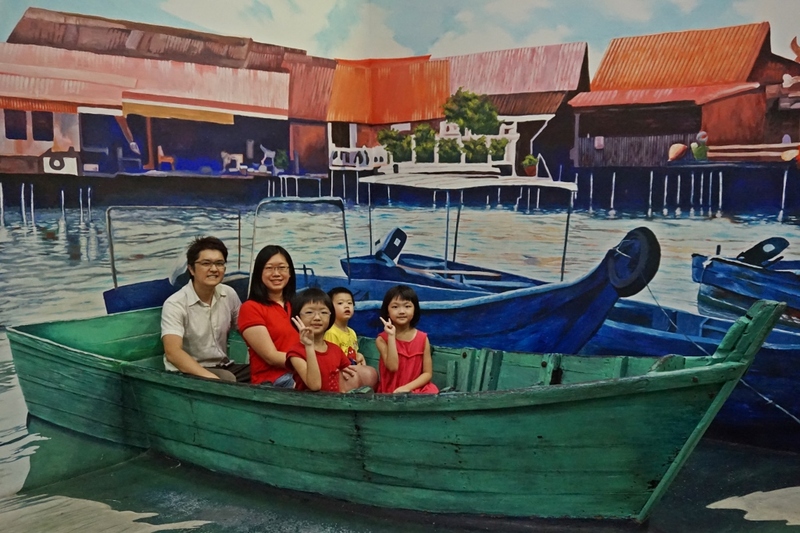 At the Trick Art Museum, you can have a photo taken within a real sampan, as though you are in the jetty area itself, with all the houses on stilts behind you. 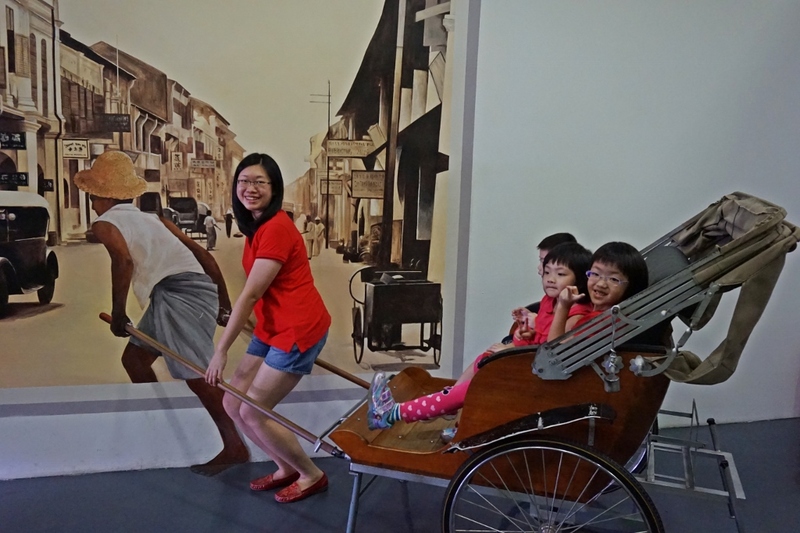 Do you know that Penang once had the smallest trolleybus of its kind in the world? They were ordered in 1934 for use on the Hill Railway Road. 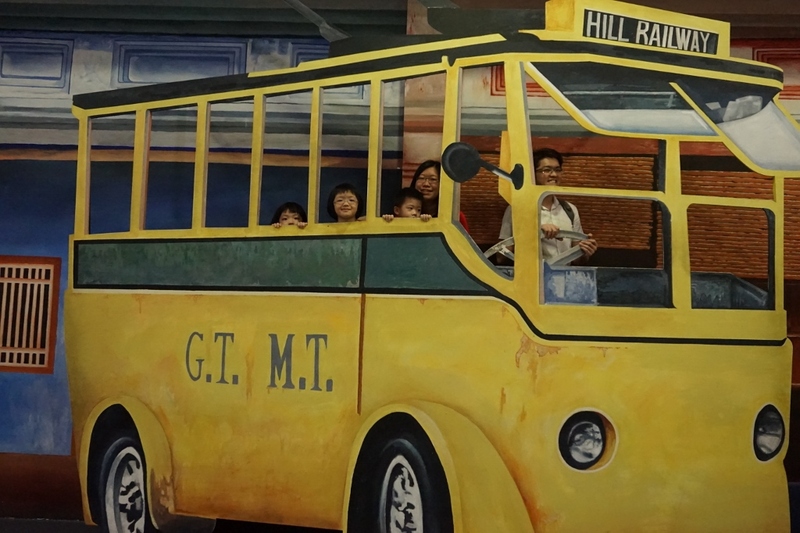 These trolleybuses took passengers from its terminal on the Air Itam Main Road to the Penang Hill Railway Lower Station. 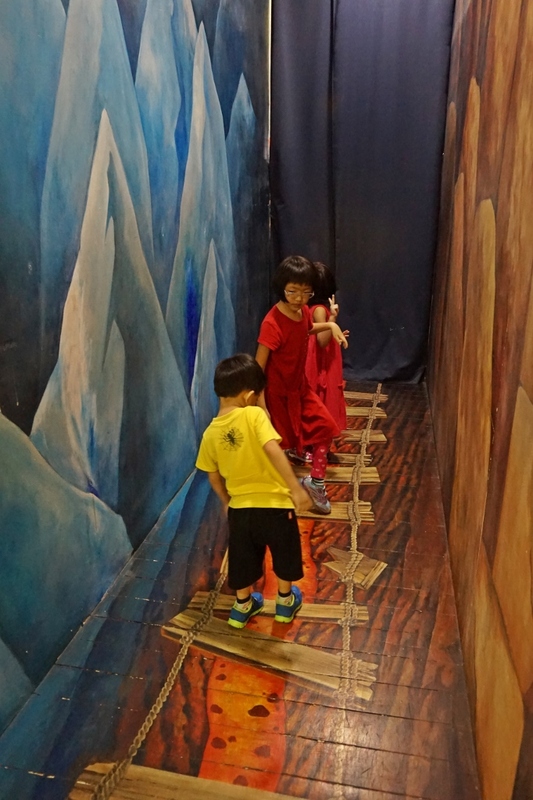 AMES ROOM.Be the bigger person. Or become smaller. 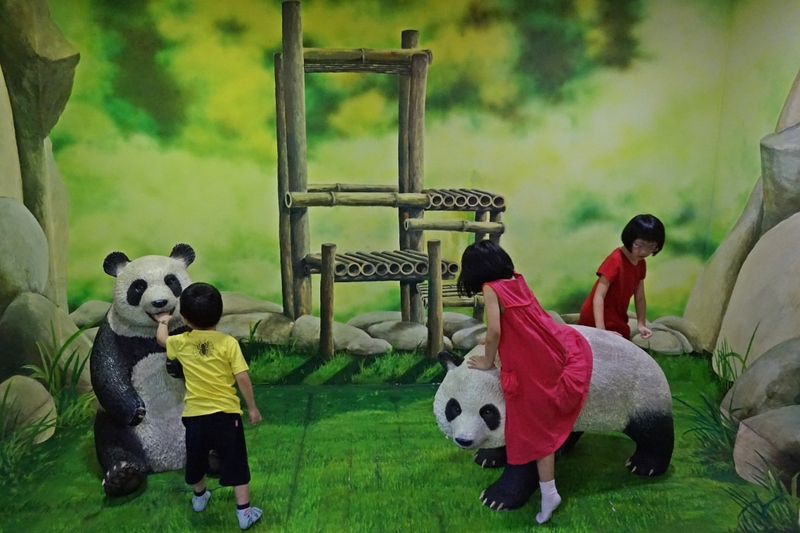 They are getting excited at the Panda Village. Wanted to sit on the Panda. 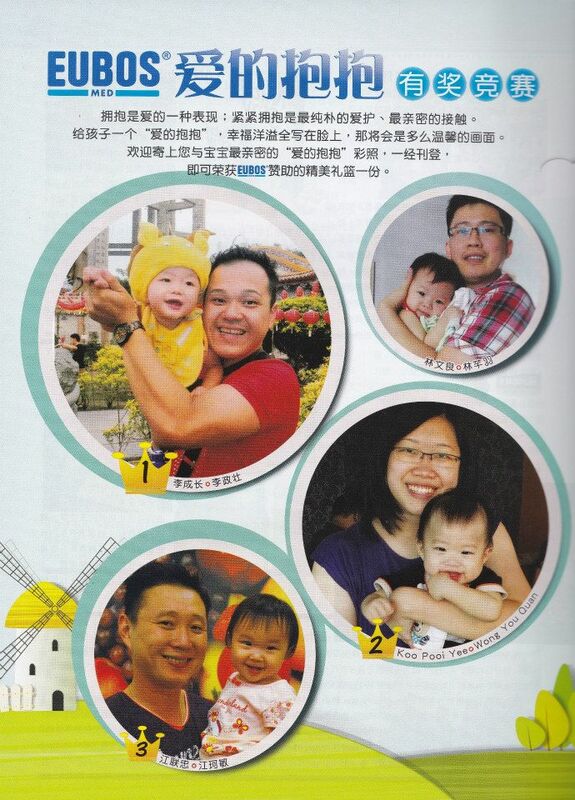 No need to go Zoo Negara to visit Xing Xing and Liang Liang. They are right here for you to visit. Aerial Skydiving - They place a fan infront and my kids give me this pose. 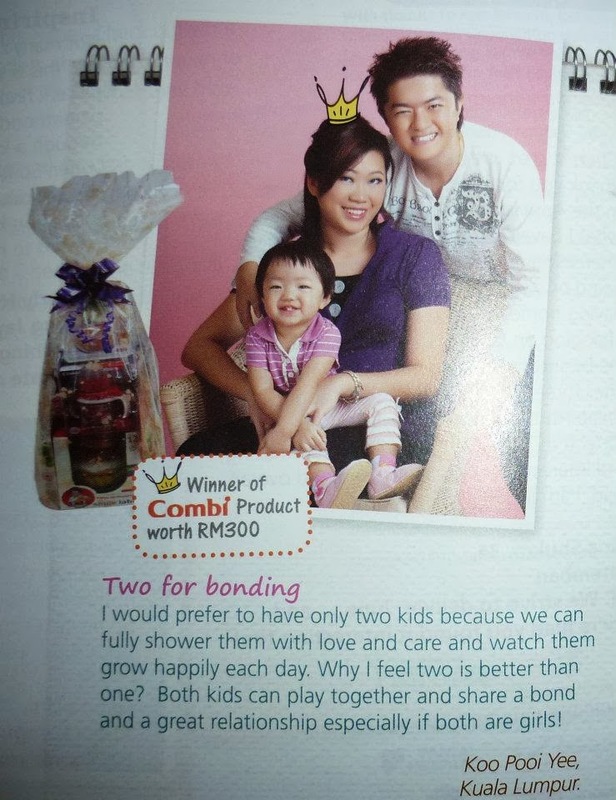 Both mummy and daddy keep laughing and amaze by their actions! that's really cool! 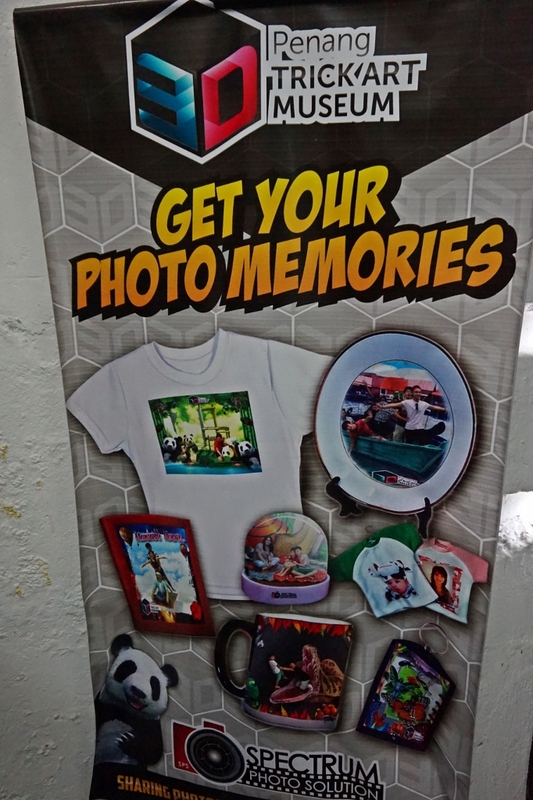 Get your memories printed out at the counter. Overall, it was fun and memorable experience. 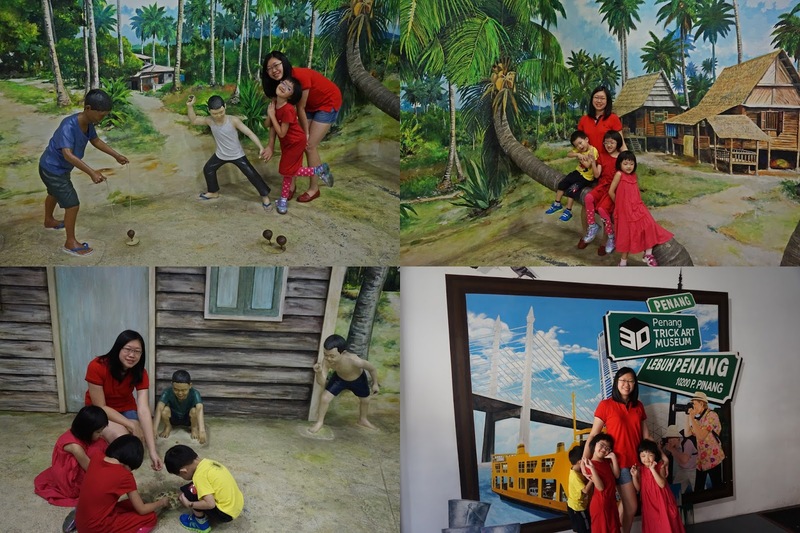 Stunning paintings that I admire them alot and kudos for them for having the real trishaw and sampan for the kids to have a chance to know what it is and getting to sit inside.